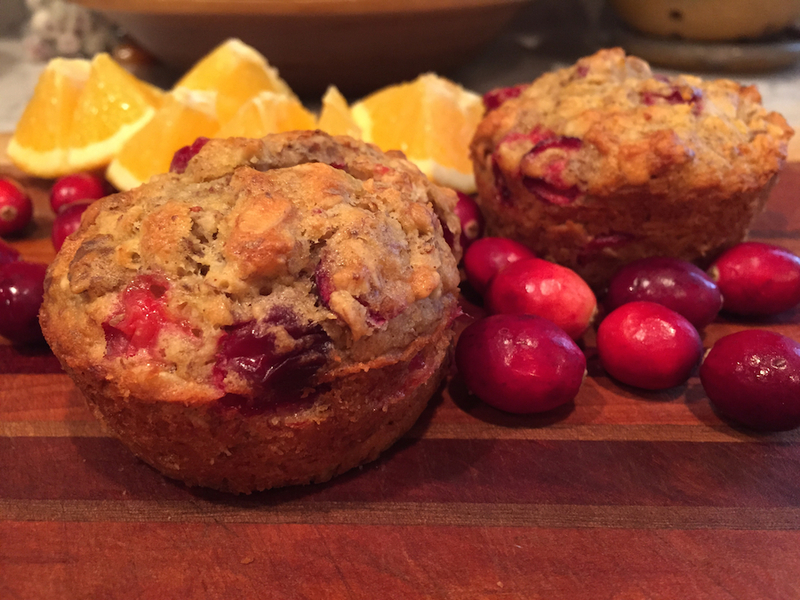 I made these muffins for breakfast on Thanksgiving, and my family devoured the first batch so quickly that I made a second batch. These are tender and toothsome. 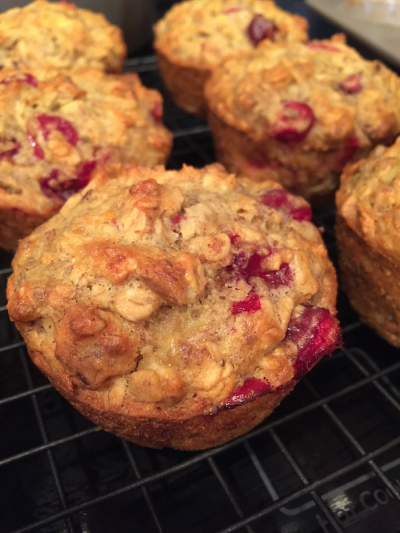 The cranberries are bright, tart bursts surrounded by just sweet enough crumb. The oats and walnuts keep them chewy and filling. I used chopped black walnuts that I was gifted, and they were super delicious in this. However, I’m sure any nut would be good, or you could leave them out if you’re not into nuts. I changed the original recipe to make these with orange zest and juice. If you don’t happen to have oranges on hand you can sub out the juice for milk. These are definitely a new favorite, and are full of healthy ingredients so you don’t have to feel like you’re eating cake for breakfast. Preheat oven to 350°F. Grease a muffin tin with cooking spray or line with paper cups. In a large bowl, mix the mashed bananas, egg, oil, orange zest, and orange juice together. Mix in the sugar. Add the dry ingredients and mix until just combined. Stir in the walnuts and cranberries. Scoop the batter into the prepared muffin tin, filling to the top. Bake for 20-25 minutes, or until golden and a toothpick inserted into the center comes out clean. Let sit for about 5 minutes, then remove to a wire rack to cool.